At KG Group we’re constantly cleaning to maintain our beautiful communities. 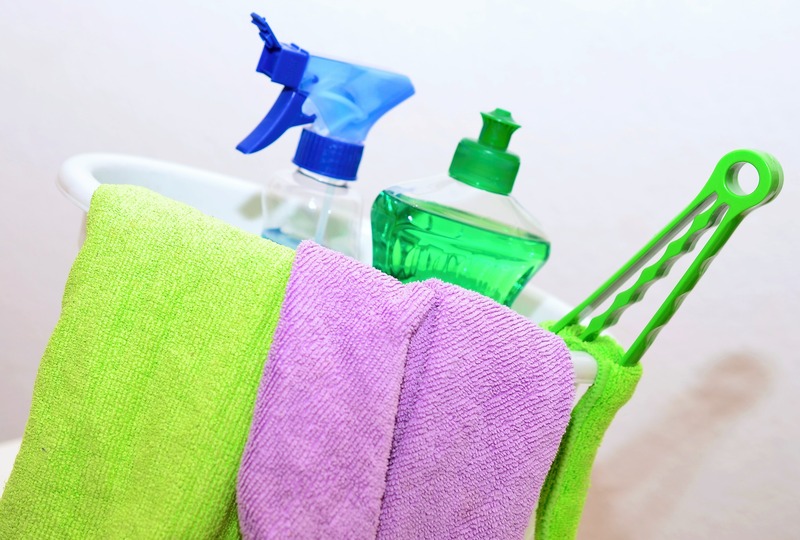 Here are our best tips for spring cleaning your apartment. It might be tempting to do all your cleaning on a grey day, but it’s more efficient to dust when it’s sunny out! The natural light will help you see the dust particles better. We love our pups but their fur can be tricky to get off of furniture. Try putting on rubber gloves, wetting them, and then swiping your hands over furniture to remove the fluff. Don’t forget to clean your cleaners. Remember to empty your vacuum, run cleaning cycles on your washing machine and dishwasher, and vacuum or wash your broom head. When you’re shopping for dishwasher soap or laundry detergent, remember to look for the high-efficiency symbol. These products will work better in our machines. Spread out your cleaning. Don’t try to tackle it all in one day because that can be exhausting and overwhelming. Do a little each day (or each week) and your apartment will be sparkling in no time.